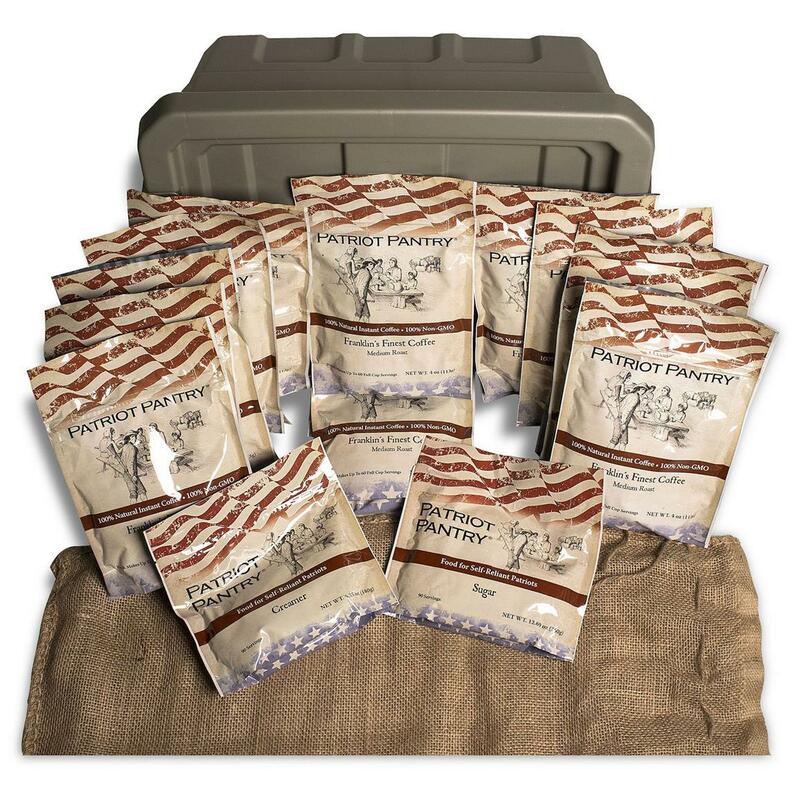 You're stocked up for a worst-case scenario. You've got food stocks for you and your family and plenty of water…but don't forget about coffee! 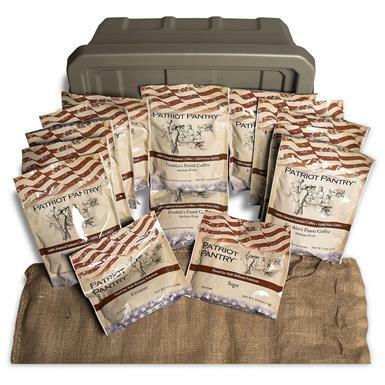 Also great for camping and hunting, Patriot Pantry Instant Coffee is freeze-dried fresh and carefully prepared to be the highest-quality survival coffee there is. Face disaster with coffee in hand! 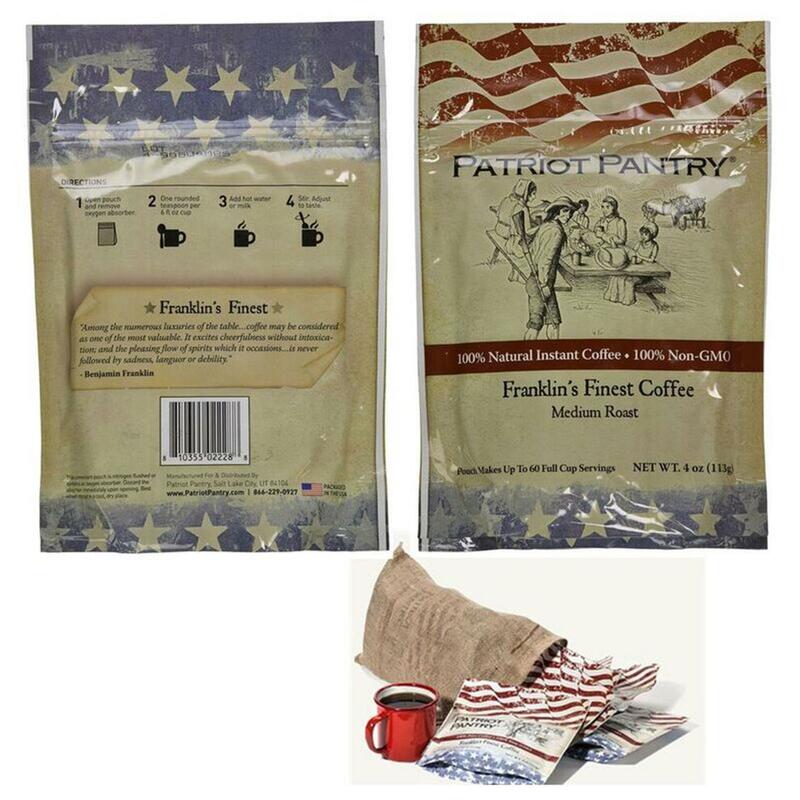 Augason Farms Patriot Pantry Emergency Instant Coffee Kit, 720 Servings is rated 5.0 out of 5 by 1. Rated 5 out of 5 by Alabama man from Emergency coffee Great peace of mind knowing I have coffee stored away for emergencies. I believe that it is a very wise thing to do in these trying times. Plan to increase my supply of it. Easy to store and easy to make!